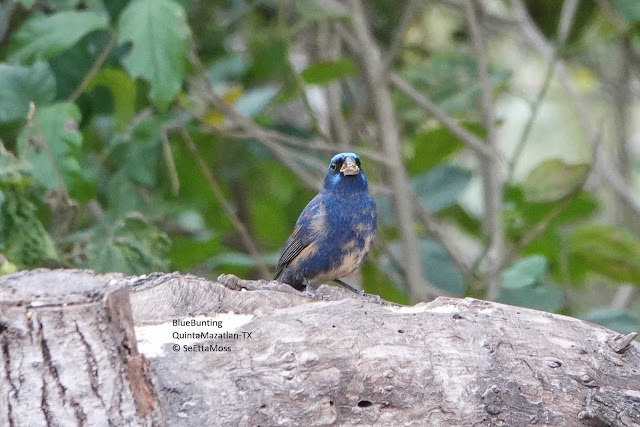 Since I posted the photos below of the Rose-throated Becard Professor Tim Brush at Univ of Texas-Pan American has informed me that this is an immature/subadult male noting the rusty remaining in the wings (that was most prominent in the flight photo I posted so will post it again, just click on 'read more' to see it). 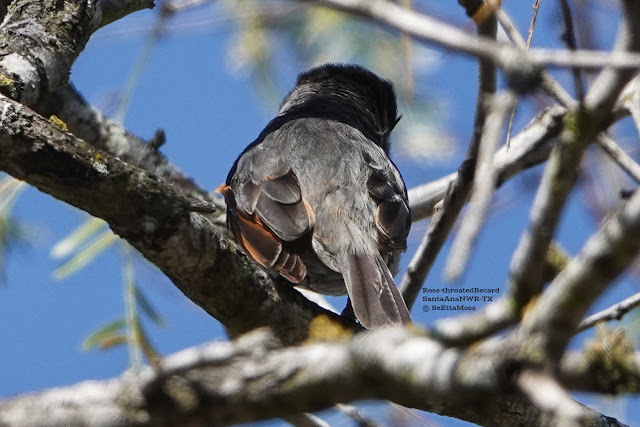 So here is a photo of the bird from behind which shows the rusty/rufous color in it's primaries. 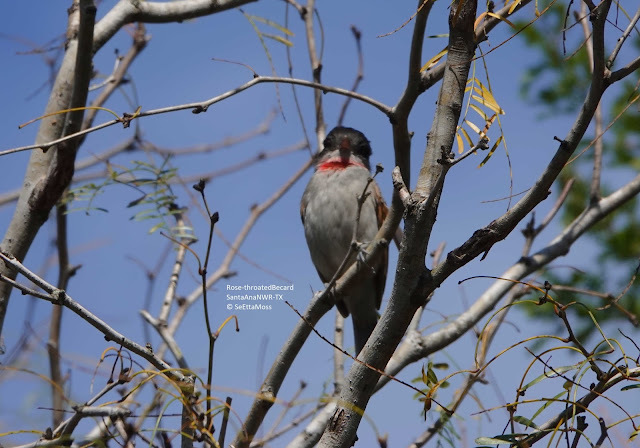 There is also some rosy/rufous tinge on a few non-primary feathers. Neotropical Birds online in describing this species does not indicate any rufous/rusty coloration in adults but notes the following in the section on 'Juvenile and older first year birds': "Rufous or russet tones are prevalent in the body and wing feathers of males during the first year, and the first few pink or rose feathers may appear then, even rarely at the juvenile stage (Pyle 1997a)." A range map for this species is below.